Volunteers are our foundation, Friends of Foster Kids need your help! Be a part of our Angel network year-round. Friends of Foster Kids is a 501(c)(3) non-profit organization. This volunteer organization is made of people from all walks of life. People just like you, that want to make a difference in a child’s world. 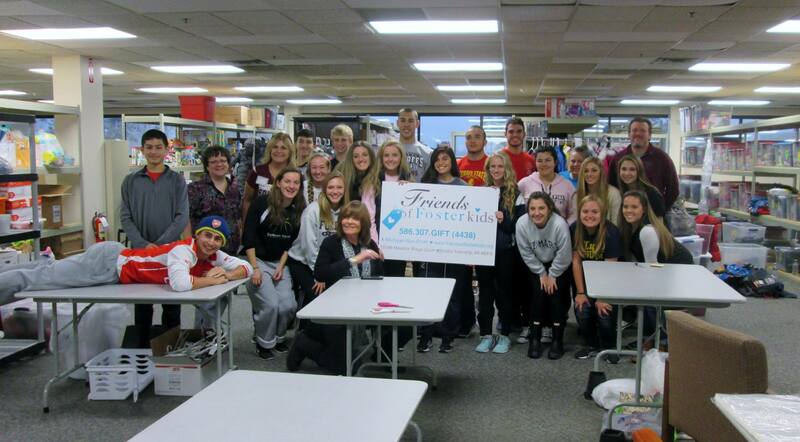 We are “Friends of Foster Kids”. Foster kids are children that, through no fault of their own, have been removed from their homes, due to neglect or abuse, and placed in temporary housing. These events happen so quickly, that often times the children have no opportunity to gather their belongings. Basic things such as clothing, underwear, a pillow…things we take for granted…toothpaste, photos…little things that help them feel safe and secure. We try to help…We let them know they are not alone…they are not forgotten.